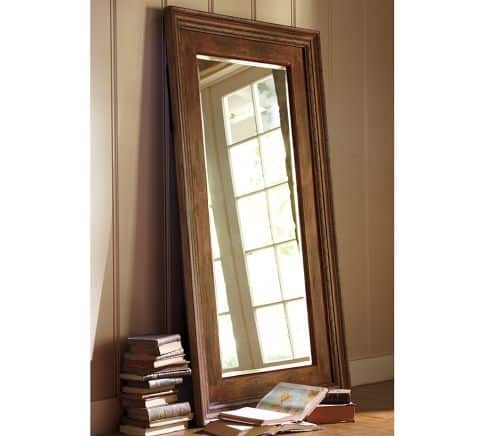 I’ve been oogling several Pottery Barn floor mirrors for quite some time. I knew I would never buy one, as I could never in a million years justify spending $499 on a mirror. 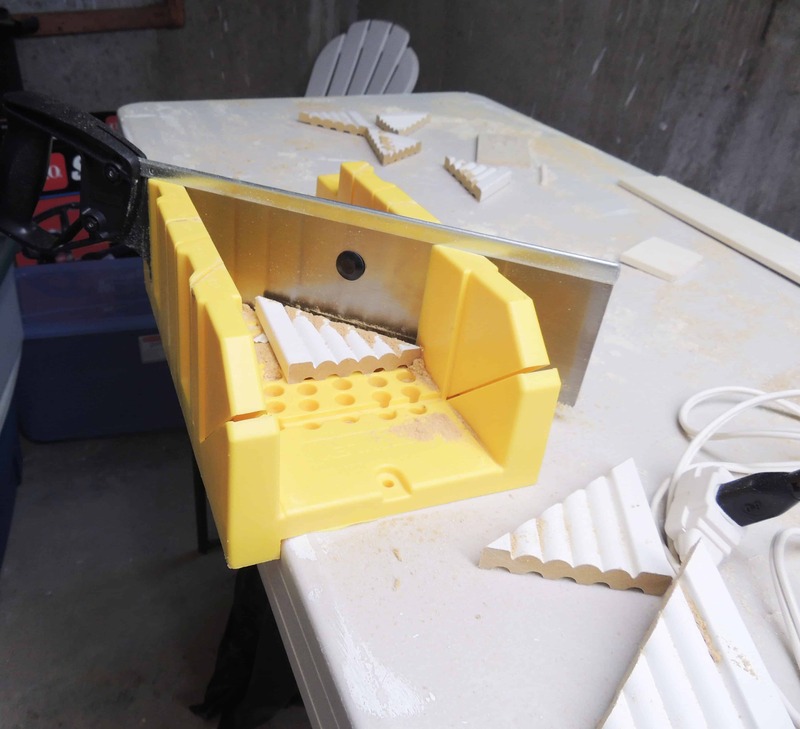 I created the 45 degree angles on the trim using my miter box. If you don’t own one of these yet, it’s a must buy. They cost about $20 and you can get them at any major home improvement store. Using liquid nails as well as some trim nails, I secured the trim in place. 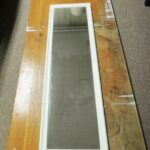 I used wood glue to secure the mirror in the center of the table top. 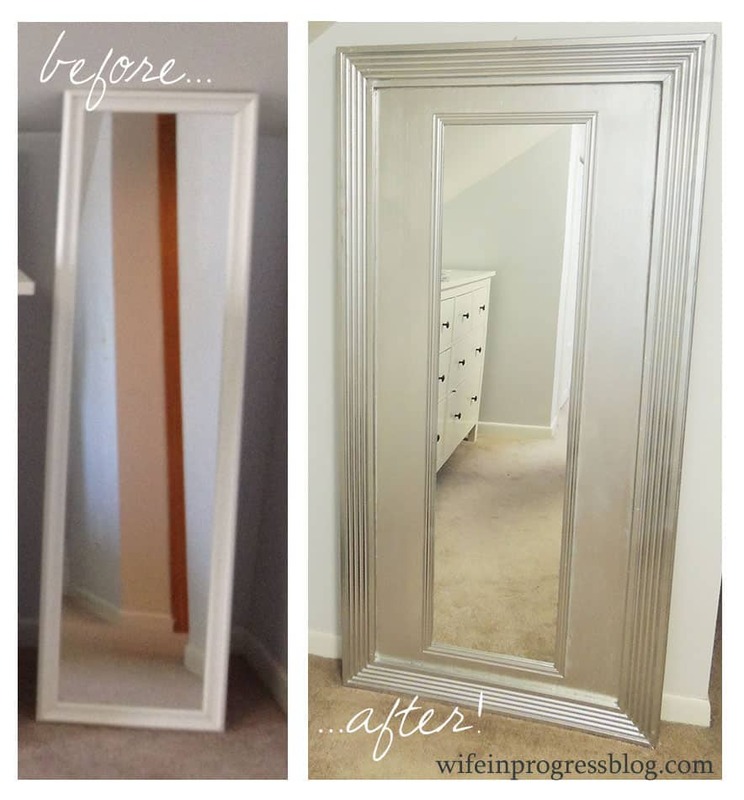 I caulked everything to get a clean, sealed look. When it comes to caulking, fingers and a damp cloth are your best friend. 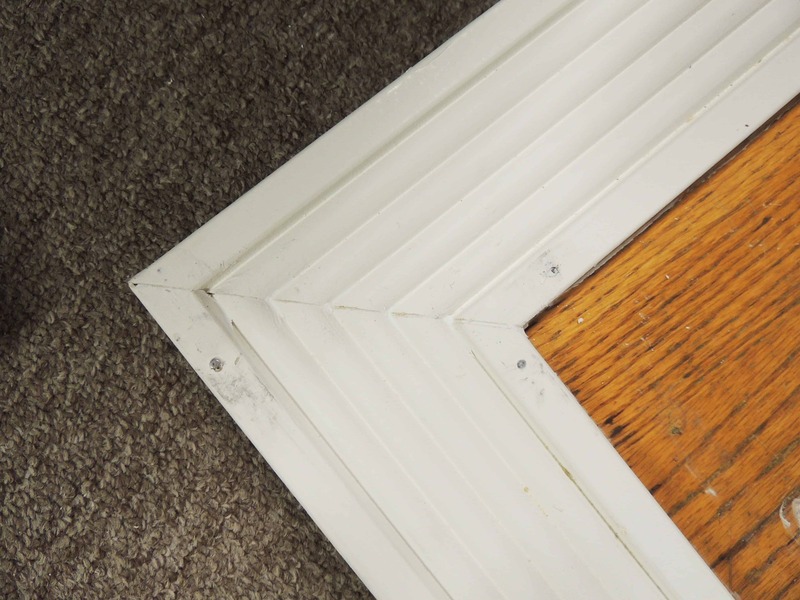 Swiping a finger down the length of the area you just caulked will give you a perfectly smooth line. Similarly, if the caulk has started to dry and it’s not smooth and even, wipe a damp cloth down the length and it will do the trick. I was going to spray paint everything white…but decided at the last second to buy silver metallic spray paint instead of white. 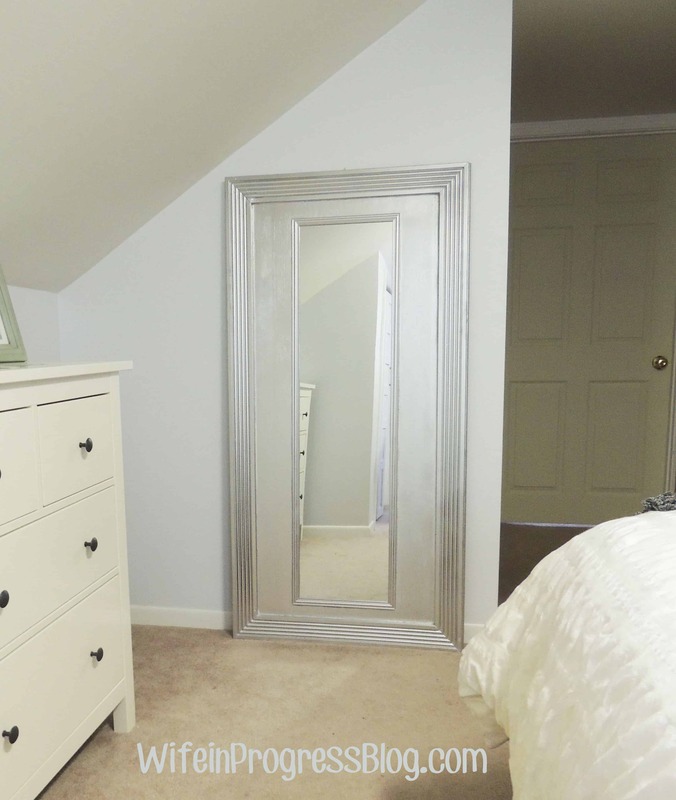 I figured the bedroom has enough white going on and a silver mirror might be more fun! I coated the surface with three coats of spray paint. 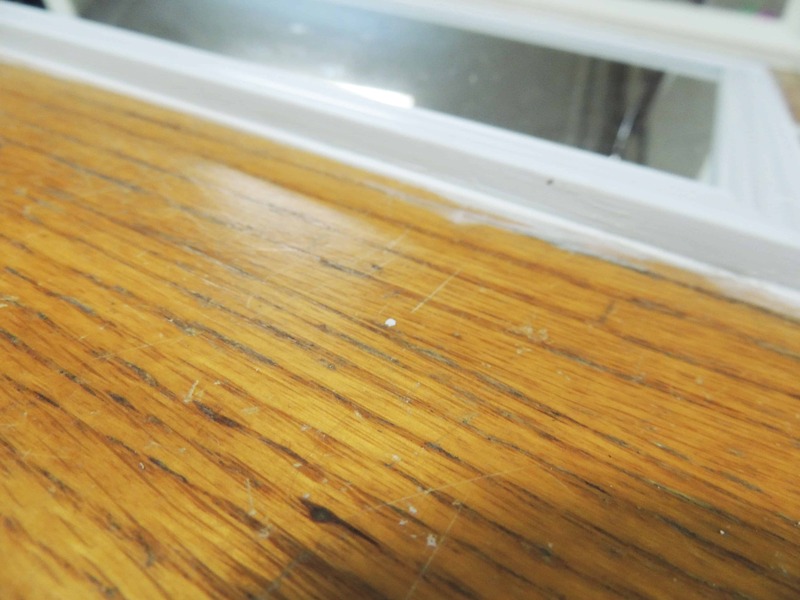 The trick to getting a good finish here is to go light and easy. Three thin coats is better than one thick, gloopy, streaky coat. Now, listen up. I learned a new lesson with this silver metallic spray paint. DO NOT finish with a clear coat! It completely gets rid of the metallic finish and turns it a dull gray. Learn from my mistakes people! I had to completely sand down an entire corner and re-paint! If I hadn’t broken the mirror…..the total would have been $22.98. I’m considering this project a success! Let’s keep the little mirror mishap between us, mmmkay? Aw thanks so much, Stef! You are too sweer! Aw thanks so much, Stef! You are too sweet! Wondering if you could do it in gold as well, don’t see why not. Love what you did but what if you don’t have a table top . Absolutely! Paint or spray paint it any color! If you don’t have an old table, you could easily use an old slab door or even use some wood glue and glue planks of wood together with a z plank on the back for support. Really like this project! 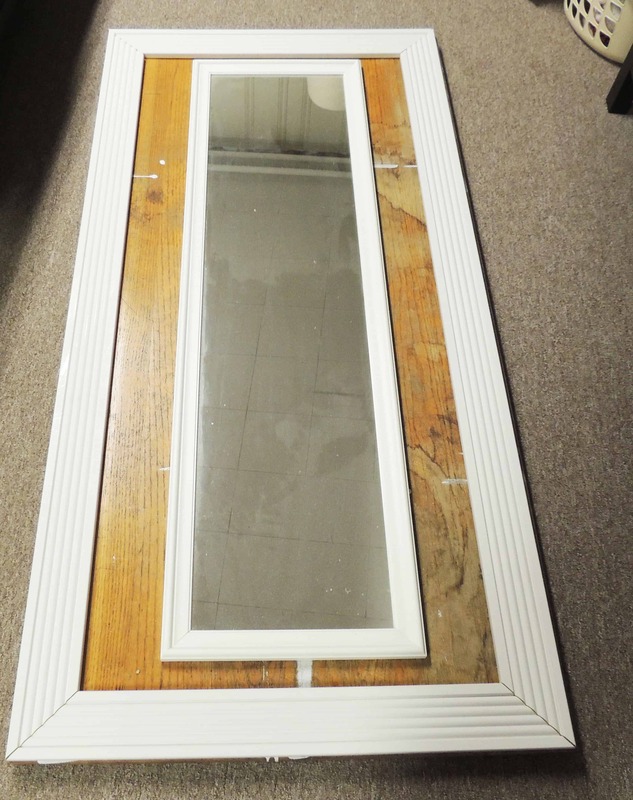 Did you attach the mirror to the board with liquid nails as you did the trim? It wasn’t mentioned, but I would not think just the caulk would be enough. wow! that is so creative! love the faux metallic finish too! That looks so good! I love the metallic sheen! That came out gorgeous! What a beautiful job you did and the price is fantastic! !